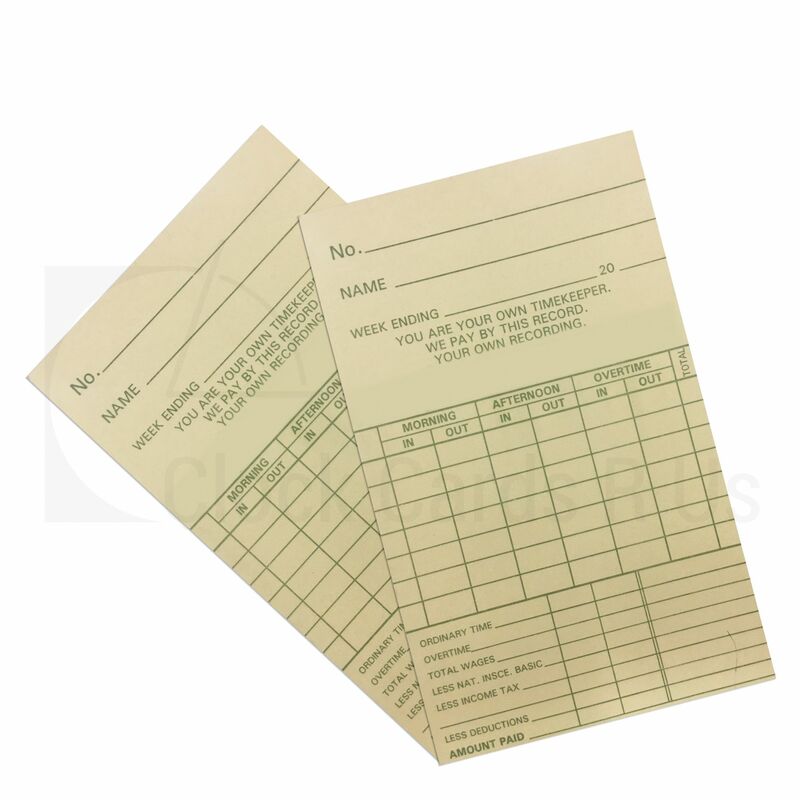 102115 Time Clock Cards come in packs of 1000. Our clocking in time cards are precision cut so perfect every time. Compatible with numerous clocking in machines and mechanical time recorders.